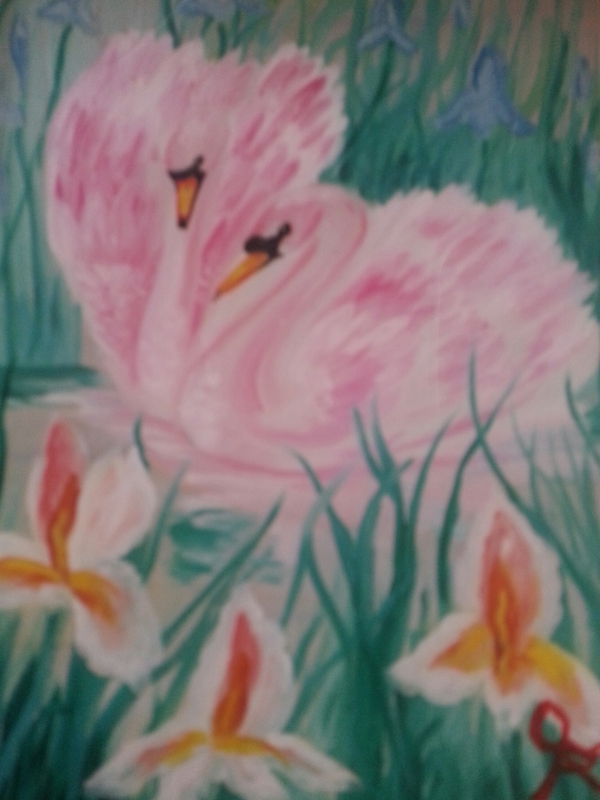 “PINK SWANS” is an original acrylic painting by Queenie Archer, resident of the Sunshine State, Florida. 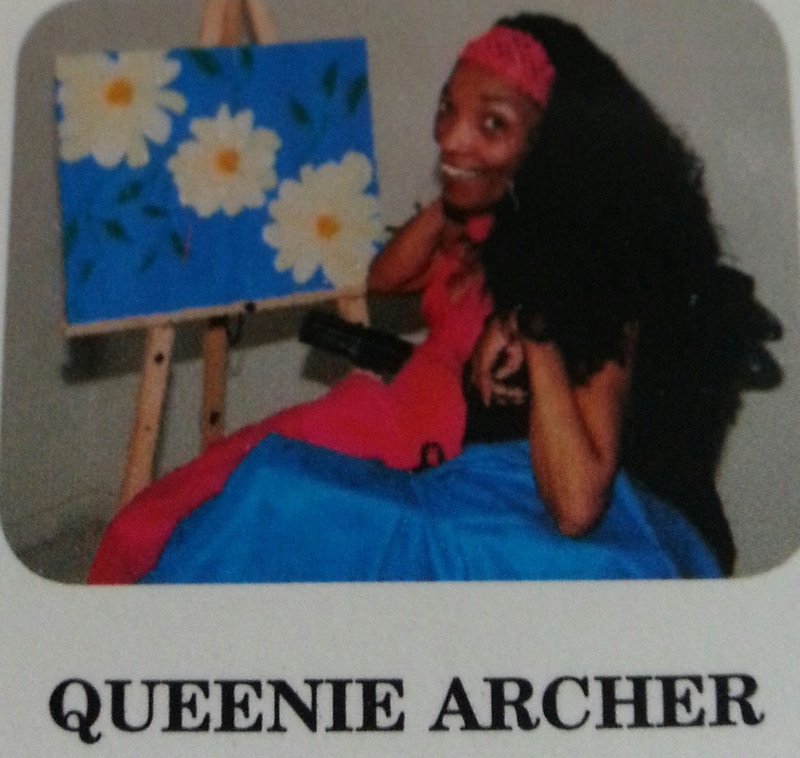 Queenie was diagnosed with Cerebral Palsy at nine months and paints with a brush attached to a headpiece. This greeting card was reproduced from an original acrylic painting by Queenie Archer for THASC Sales Co. which has employed a unique group of handicapped artists who create art to help rehabilitate themselves. They gain self-respect and pride through their artwork. Queenie Archer’s soft, gentle and delicate description of the largest of North American waterfowl can only bring us to that state of perfect beauty and tranquility on the waters upon which they glide. 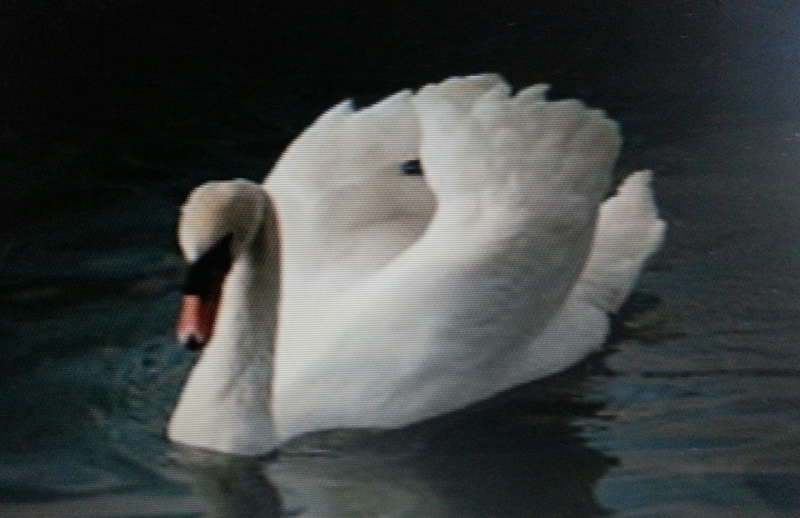 Swans are also among the largest flying birds. Although they are close relatives to geese and ducks, swans are much larger and have longer necks. They can be as long as five feet and can weigh close to 35 pounds with a wingspan of almost ten feet. Males are usually heavier and large than their female counterparts and, like cardinals, they mate for life. That they mate for life is idyllic in itself and is what every romantic out there would love to believe about their own partner, don’t you think? Mute swans can live more than ten years and sometimes over twenty whereas black-necked swans survive usually less than 10 years. Possibly the best known story about a swan is Hans Christian Anderson’s fable, “The Ugly Duckling.” This story reminds me of what we call modern-day bullying in which a homely little bird suffers from the abuse of those around him and in the end, grows into a beautiful swan, the most beautiful bird of them all. Because swans are forever joined with one partner, they are a symbol of faithfulness and love. I always thought that a “swan song” was associated with death, as legend said there were types of swans that either sing most beautifully when they are dying, or never sing until just before death. I am happy to report that the legend is untrue. However, it lives on in the phrase “swan song” as the last performance or work by someone who is retiring or who has finished his/her last work. It doesn’t necessarily mean it’s their greatest work of their career, but perhaps the most significant one, knowing it is to be their last. What a lovely way to start the week gazing at these beautiful birds that bring soft thoughts to our busy week. See you Thursday with another amazing painting from a THASC artist.